We have received an official message from the AFBN that the game versus the Nijmegen Pirates that was postponed to a later date, will be played on the 4th of March! The kick-off is at the same time (14:00) and at the same place! The game of the Juniors will also be played on this day (11:00). 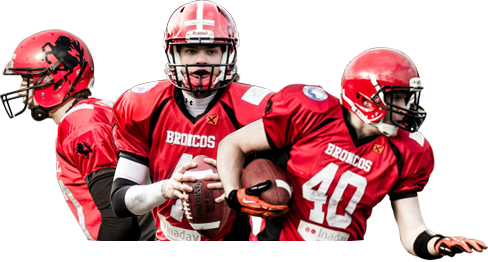 Just like last time, if you want to join and support the Broncos in their first game, please contact us. Again for the players: We get together at 08:30 in the morning at Vogido, bring both of your jerseys (if you have any) and all of your equipement. LET’S PLAY SOME FOOTBALL!! The 2012 Broncos roster has been updated! So if you are wondering who’s in our team, take a look at the roster!